Car Rental in Christchurch is a common way of exploring Canterbury. Christchurch is a car-friendly city, too, so even CBD driving is easy. But try and get out to the coast of Kaikoura and the Banks Peninsula and make the most of your freedom. 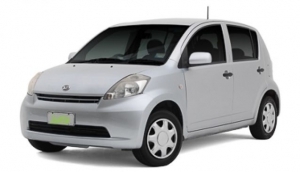 Christchurch Car Rental offers the most flexible way of seeing the city and surrounding area. With pretty, but isolated, places like Akaroa on the Banks Peninsula, not that far away, you're going to save a lot of time if you have independent means of getting there. Inland, the pretty towns and villages heading east over the Plains towards the Southern Alps, are often only accessible by car anyway. Although trains and buses in Canterbury are some of the best in the South Island, having your own set of wheels will save you so much time. Christchurch International Airport is by far the best place to source a car rental. Lichfield Street, in the CBD, is also densely populated with rental operators.